While Japan dominates the market with 600 charging stations – there are just over 40 stations combined in all other countries – electric car infrastructure is developing across the Americas. Hawai’i has implemented ten charging stations on Oahu through a collaboration among Better Place, resort hotel chains, the Hawaiian Electric Company, and the Hawai’i Renewable Development Venture. Ten charge stations were launched this week, and the project also includes seven electric cars that will be used primarily as fleet vehicles for Hawaiian Electric and hotel guest shuttles. The Hawai’i Natural Energy Institute at the University of Hawai’i at Mānoa will monitor usage and performance of this pilot initiative. Business Week reported that Better Place plans to open 130 additional stations by early 2012 – an initiative welcomed by political leaders in Hawai’i, where the price of a gallon of regular unleaded gas reached $4.49 on Tuesday, the highest in the nation. In New York City, Icon Parking Systems – which operates over 200 facilities in Manhattan – announced charging stations are now availableat another parking garage as part of an ongoing partnership with Car Charging Group. The new charging unit, part of the ChargePoint® Network, is open to EVs from all manufacturers and features conveniences such as variable fees for usage, access without subscriptions, 24/7 driver support, and smartphone applications that allow users to find unoccupied stations. This week’s developments are promising signs of the potential for EVs in the Americas. The “Electric Vehicle Study” by Zypryme Research reported that 2011 will be a “breakthrough year for the Smart Grid…[and] a history maker for the electric vehicle (EV) industry” as numerous automobile manufacturers will be launching EVs into the mainstream market. Almost 40% of respondents to the Zypryme survey stated they are “very likely” or “somewhat likely” to purchase an EV in the next two years, with one-third of all respondents indicating they will pay a premium for an electric vehicle. The American Planning Association (APA), with the support of the U.S. Department of State, promotes urban planning as a tool to foster sustainable, climate-proof development across the Americas. APA leads activities and programs designed to advance institutional capacity and improve long-term access to planning expertise and technical assistance in Latin America and the Caribbean. 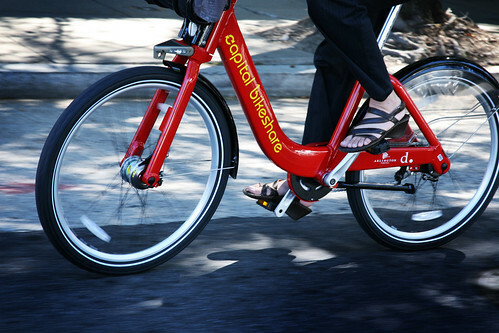 According to an article written by Ashley Halsey III and published over the weekend in The Washington Post, “more than 300,000 rides have been logged since the program launched September 20, and people were using the bikes an average of 3,000 times a day in mid-April.” No wonder I seem to see them everywhere. 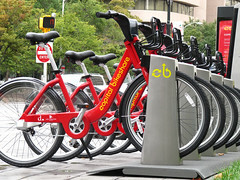 The program’s web site says that one can join for 24 hours, 5 days, 30 days, or a year, and have access to the bikes 24 hours a day, 365 days a year. 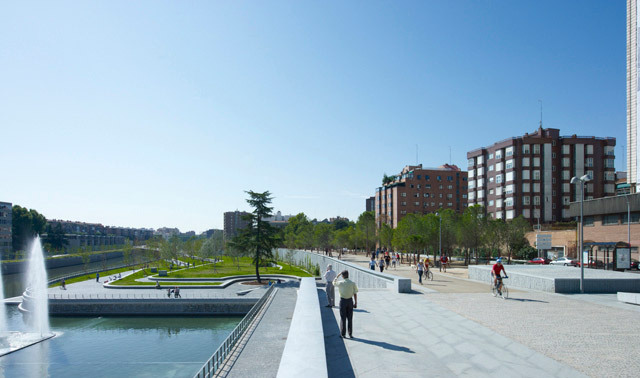 After eight years of delays, traffic jams, noise and dust the last section of Madrid Rio— a combined infrastructure and public space project — was finally opened to the public on April 15. 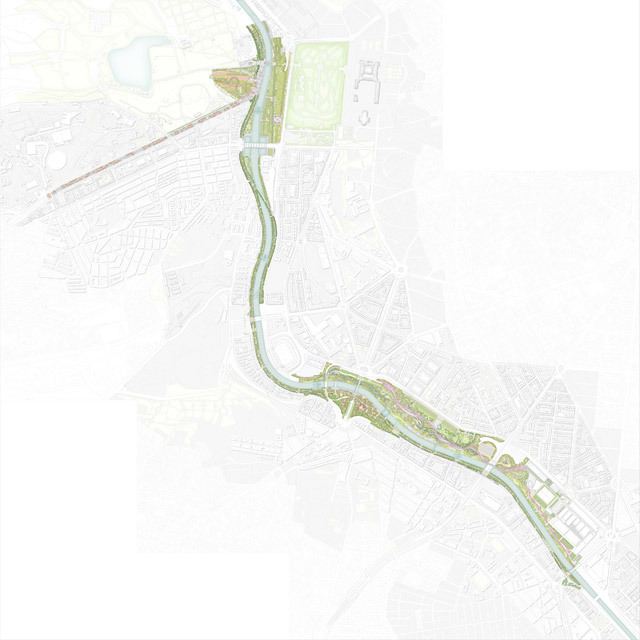 In the 1970’s Madrid was cut off from the (already forgotten) Manzanares river by the construction of the M30 ring motorway. Although this separation of city and waterfront was a common phenomenon in many cities around the world in the mid-20th century, Madrid’s “waterfront” went through the middle of the city, not at the edge; Madrid lost not only its river — it was cut in two. Neighborhoods once just over the river were instantly relegated to the periphery. Knowledge is the recourse of our times. In the form of data and information, knowledge is not only the current hype it is the main topic in many areas. The best illustration for this is probably the rise of Google as a company focusing entirely on the management of knowledge or the popularity of Wikipedia an open source project of recording and arguably generating knowledge. This shift is however, not entirely reflected in the way education of the next generation. 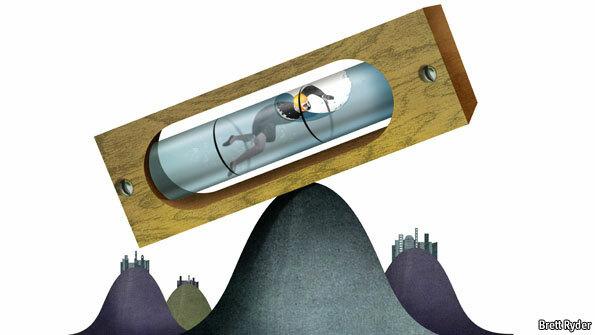 In most countries the education system suffers great cuts and reduction of financial support. Education and the gaining of knowledge is increasingly by officials put as something every person is responsible of gaining themselves, probably from Google and Wikipedia. This leaves of course a big gab between services and users and a lot of people without the basic capacity to take part in this beautiful new world, keeping it an exclusive domain for few. 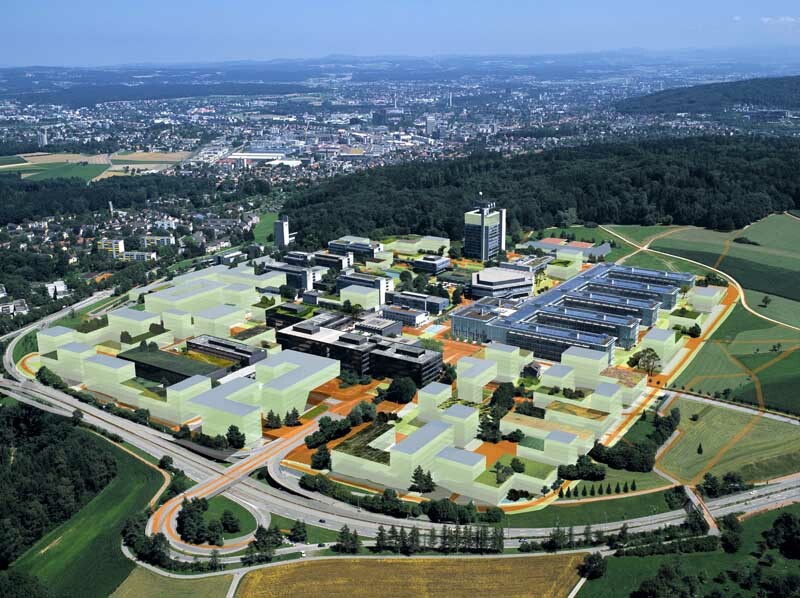 Image taken from e-architect / Science City is the development vision for the university campus of the 21st century. The board of governors of the Eidgenössische Technische Hochschule in Zurich (Swiss Federal Institute of Technology Zurich, or ETH Zurich) formulated a strategic vision as the basis for current and future developments. The campus is required to act as an interface between scholarship and society, somewhere the worlds of business, economics, politics and scholarship can interact. 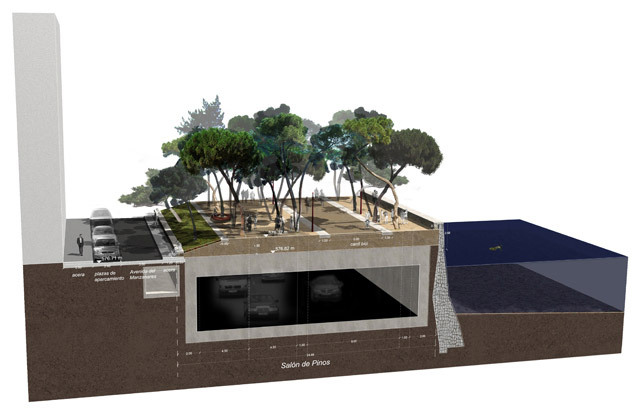 The spatial rendering of this vision is a dense fabric of buildings large and small, squares, courtyards and gardens that provide the ideal environment for research, discussion and development. Thanks to its precisely planned connections to the city and other university facilities, the network also extends to the metropolitan level: from Science City to City of Science. This project features in the book in the section ‘Greenfield Campus’. For the ‘well-off” amongst us (comparatively anyway) our mostly sedentary lifestyles, from home in the suburbs in our air-conditioned cars to our offices in the sub-urban office parks and shopping centers, and by car to gym or racing round the peninsula on expensive bicycles and then flopping down in front of TV… a cities design could simply alter how we move around and how we think about our bodies and ourselves. The benefits of green roofs is well known amongst the design fraternity, but communicating this to developers is a hard sell… so the more we publicize ‘hard facts’ the better. In this interview from Beijing by Brendan McGetrick of domus are we giving the other side of the picture from Kongjian Yu’s views of amore sustainable China and in so doing giving its form to the rest of the world? For the first installment in the series, Brendan McGetrick spoke with Zhang Xin, the CEO of SOHO China, the largest real estate developer in Beijing. For the past fifteen years, SOHO has worked to introduce a number of innovations into China’s urban development, emphasizing flexibility of use, expressive design, and public engagement. We talked about the strengths and weaknesses of China’s construction industry, the joy of Twitter, and how real estate development is like conducting a symphony.